In May 2012, the Canadian police seized $1 million worth of fake US$20 notes in Trois-Rivières, Quebec in the course of a police investigation labelled Operation Cranium. More of the counterfeit notes had first been detected in Michigan in 2010. Officers at the scene were immediately struck by the quality of the counterfeit notes saying "It's highly sophisticated, no doubt about that” and they described the fake notes as virtually undetectable to the naked eye. In additional to looking legitimate, the counterfeit twenty dollar notes felt identical to legitimate notes and they included a dark vertical stripe which perfectly imitated the security thread incorporated in the real thing. A Canadian man, François Bourassa was charged with the production, possession, and distribution of counterfeit currency. Because of the remarkable quality of the counterfeit currency, the police assumed it must have been the work of a sophisticated criminal gang. Bourassa served only six weeks in prison after handing in $200 million in counterfeit $20 bills before facing trial. There remains a question about the whereabouts of a suspected further US$50 million in forged notes. Bourassa subsequently walked free from a Canadian court after paying a $1,500 fine and handing over his stock of forged currency and after Canadian authorities had made a deal with the forger in order to obtain his remaining stock of faux U.S. printing paper, his inks, and the devices he had used in his forgery operation. The paper was made in Swiss and German mills which made the same specialised cotton and linen blend used for U.S. currency and Bourassa had apparently obtained it under the guise of it being intended for a different and legal purpose. Bourassa is reported as saying the paper is critical, you have to start with that...It’s got this crisp feel. He sourced ink and the detailed security features incorporated each forged bill in China and had the various components shipped to a Canadian town outside Quebec. A skilled printer helped him put ink to paper and he claims to have sold batches of fake bills in bulk. 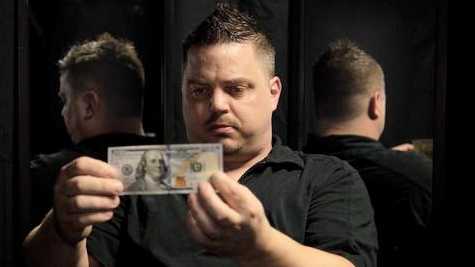 The criminal groups which he sold the counterfeit bills to did well, receiving $1 million in fake bills for $300,000. The $20 note is thought of by counterfeiters as one of the easiest to reproduce because it was last updated in 2003 and all of the parts of the creation process can be sourced online. It beggars belief that anyone committing an offence of this magnitude would be treated so leniently by authorities. To rub in in, Bourassa has continued to cooperated with media in interviews and can be seen in YouTube clips where he boasts about his exploits. He may be testing his luck. On the other hand, it may not be legal but the skill and resourcefulness of this guy generates a little admiration. It would be interesting to see what might result if he tried his hand at a legitimate artistic pursuit.